We're on our way 12th annual Southeast Wise Women Herbal Conference! On the weekend of October 14-16, we are blessed to have over 50 inspiring and knowledgeable teachers coming to share their wisdom, as well as the hundreds of hardworking volunteers, and all you wonderful women that bring this event to life every year! With over a thousand women registered, we're now in the final stages of preparations, from measuring layouts at the camp, to completing the volunteer schedules. We hope you'll come join the wise woman tribe that gathers annually in the Blue Ridge Mountains, and see for yourself what the buzz is all about. For up-to-date information on registration and availability, see our FAQ page. It's late summer and Queen of the Meadow is blooming, often 10 feet high or more! Her botanical name is Eupatorium purpureum, in the Sunflower family. I have been blessed this year to be involved with several other special women’s events. I actually just returned from the last in the annual International Councils of Thirteen Indigenous Grandmothers (very powerful . . . more on that later!) One of the treasures has been glimpsing my own foremothers, the women of my mother’s generation who laid the groundwork for the rich opportunities we enjoy today. Many of the gatherings and leaders that have shaped women’s music, culture, and spirituality today, began when I was growing up, in the 1970’s and 1980’s. This is true in the herbal community as well. In birthing the Southeast Wise Women’s Herbal Conference, I built on foundations laid by my Wise Woman Tradition mentor, Susun Weed, and by the vision of Gail Ulrich, founder of the New England Women’s Herbal Conference, Eaglesong Gardener (my first herbal teacher, right) in the Northwest, and Karen Aguiar and Terri Jensen in California, among others. Their commitment to women’s issues and natural healing inspired me to explore my personal power and the power of women coming together. As the shadows lengthen at on these Lammas days—the mid-point between the Summer Solstice and Autumn Equinox—the Earth invites us to savor the beauty, the sweetness, and the richness of our lives. Where do we find the connection and belonging that our hearts so deeply yearn for? In our society, we are often told that one romantic relationship should meet all our needs—rather than relying on a wide-ranging circle of sources. Lammas season invites us to remember that making a connection with a greater spectrum of resources gives us more access to love! That spectrum includes our friends and loved ones, of course, and also plants, water, wild things . . . the Earth herself. Walking in the woods on a hot afternoon or working in the garden, I often find myself nibbling on wood sorrel for thirst-quenching refreshment. This widespread, wild edible is familiar to many—some call it “sour grass” or refer to the tiny fruits as “sorrel pickles”. Children seem particularly fond of foraging and eating those little “pickles”. Wood sorrel, or Oxalis spp., is particularly abundant in Appalachia and the lemony flavor of the leaves and fruits make it a wonderful trail-side snack or a tasty addition to your wild salads. Although it resembles clover, the cluster of three, heart-shaped “sweetheart” leaves, five-petal, yellow flowers and tiny, cucumber-like seedpods readily identify wood sorrel. There is no other medicinal herb that bespeaks more of sunshine than St. Johnswort, or St. J’s, as we fondly call it. It loves sunny open places, blooms at the height of summer solstice, soothes the skin after sunburn, and even brings sunshine into our lives through its mood elevating properties. Establish some of this sunny plant in your garden this spring! The most well known, most widely used species of St. Johnswort is Hypericum perforatum, studied for its uses against depression—especially helpful for the kind of dark moods that come from seasonal affective disorder (SAD). In fact, it is often said that plants grow where they are needed—and St J’s is a prolific “weed” in the Pacific Northwest, where dark and rainy winters contribute to a high number of SAD cases. Herbal constituents can be released into and stored in various solutions such as water, oil, vinegar and alcohol. Some liquids (called menstruums in herbal medicine making) facilitate the release of different compounds and can be more or less effective depending on the plant and it's properties. Below are several different techniques for extracting herbs with oil from Ceara Foley's class at the 2016 Herbal Conference. Oils are an effective way to introduce herbs directly on and through the skin. I prefer to use olive oil for medicinal purposes due to its healing properties and long shelf life and almond or apricot oil for massage and skin care. Herbal constituents can be released into and stored in various solutions such as water, oil, vinegar and alcohol. Some liquids (called menstruums in herbal medicine making) facilitate the release of different compounds and can be more or less effective depending on the plant and it's properties. Below are several different techniques for extracting herbs in syrups from Ceara Foley's class at the 2016 Herbal Conference. Syrups are generally made to help with the flavors of herbs, especially for children. I like syrups just for variety’s sake. There are many methods handed down from our ancestors. I have adapted this first one from Rosemary Gladstar’s teachings to include my own experiences and tastes. Herbal constituents can be released into and stored in various solutions such as water, oil, vinegar and alcohol. Some liquids (called menstruums in herbal medicine making) facilitate the release of different compounds and can be more or less effective depending on the plant and it's properties. Below are several different techniques for extracting herbs with water from Ceara Foley's class at the 2016 Herbal Conference. Glycerites can be beneficial for those with alcohol concerns or for children’s remedies. The disadvantage is in not dissolving resinous or oily materials as well as alcohol. There is also a shorter shelf life. The ratio of glycerin to water varies greatly from 50% to 100%. The only hard and fast rule I know is you always need more glycerin than water to preserve the herbs well. Make the extract as you would with alcohol, chopping, macerating, and straining the herb with the final results being a thick, sweet tasting product. Herbal constituents can be released into and stored in various solutions such as water, oil, vinegar and alcohol. Some liquids (called menstruums in herbal medicine making) facilitate the release of different compounds and can be more or less effective depending on the plant and it's properties. Below are several different techniques for extracting herbs with alcohol from Ceara Foley's class at the 2016 Herbal Conference. Generally, alcohol is a better menstruum than water for the complete extraction of plant constituents. Various ratios of water to alcohol will dissolve most all relevant ingredients of an herb while acting as a preservative. 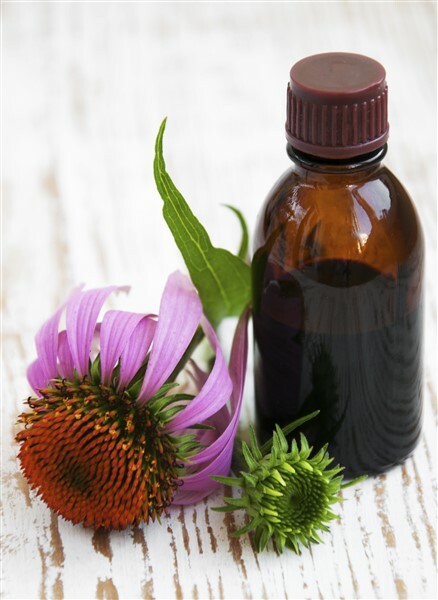 Tinctures can also be made with glycerin or vinegar although not with the best medicinal results for most herbs. I would use the menstruums for nutritional herbs or very mild tonics. Appropriate for leaves, flowers, green stems and fresh berries where the substances wanted are easily released into the water. Make tea in a ceramic, glass, or enamel vessel. Use 1 tsp. dried herb (or 3 tsp. fresh) per 1 cup of water, or 1 oz. herb per pint of water. Place herb in vessel and pour boiling water over. Cover. Steep 15 minutes then strain while hot. It is best to make infusions as needed due to a very short shelf life. Drink 1 cup 3 times daily. Now's the time to eat those nourishing nettles! Have you spotted her silvery, aromatic leaves emerging this spring? Many of you are probably quite familiar with mugwort (Artemesia vulgaris). As winter releases its grip, she shows up along paths, in the garden…even roadsides. When she’s mature, we appreciate her for her aromatic qualities: dried and placed in sachets and pillows to encourage vivid dreaming, or used as our local smudge for energetic clearing. Mugwort is also used in oriental healing modalities such as moxabustion, when burned as part of acupuncture therapy. Today while I was taking a walk with my son, a tiny burst of color caught my eye. I looked more closely and realized joyfully that I had found my first Violet of the season. And not just one, for the ground was covered with dozens of sweetly nodding purple flowers. My son and I happily gathered handfuls of the delicate blossoms and tender green leaves, eating some as we picked and saving the rest for dinner. Whether you’re pleasantly well rested or suffering from cabin fever, the spring equinox is the time to rediscover all the glories of the natural world! This March, I've been walking around my community, visiting the sites where we garden--a blessed time, after such a hard winter here in our neck of the woods. Destruction from the winter in the form of downed trees and exposed, muddy areas, are evident everywhere. Yet new growth is also popping up.